Not too far from my apartment is a site that has a place in British history. 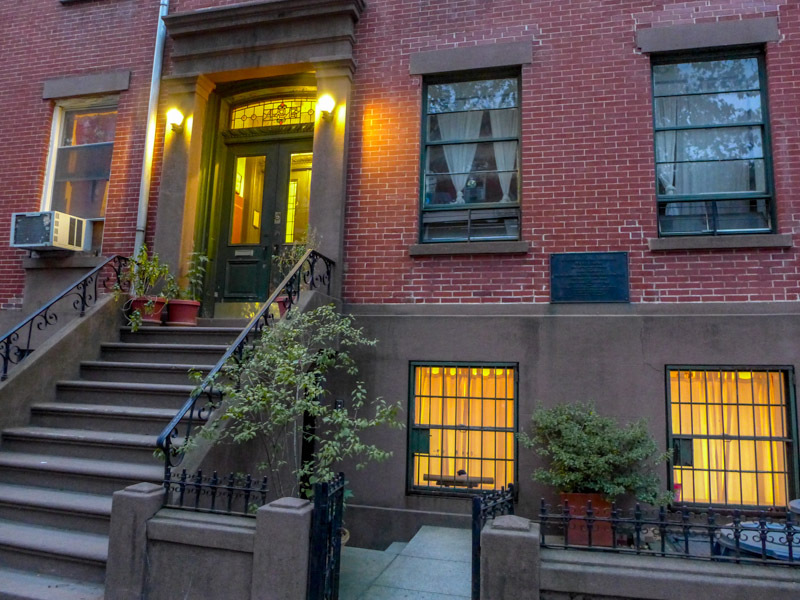 If you wander along Henry Street in Cobble Hill and stop at number 426, you’ll be looking at the birthplace of Jennie Jerome. While her name might not ring any bells, you might know her son: Winston Churchill. If you pass it, you’ll see a plaque hanging outside. In fact, there’s some contention over whether she was actually born here or four blocks north on Amity Street. 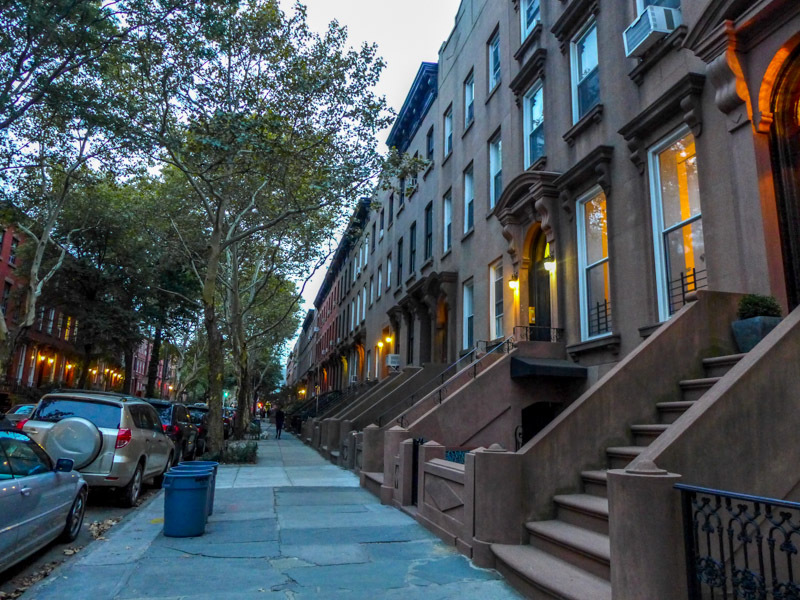 Her parents owned a home at 197 Amity Street and she went on to grow up there, but it has also been suggested that she was actually born here on Henry Street as the family sought refuge with her uncle during a snowstorm. But the Amity home has no plaque and this one does – so I think we should opt for the Henry address, don’t you? That said, if you want to get the whole history, the family’s actual home is only a ten minute walk away. See the map here. 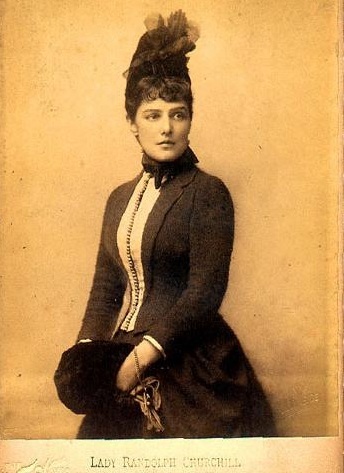 After growing up in the area, Jerome – who was considered a real beauty of the time – married English statesman Lord Randolph Churchill in Paris in 1874, when she was 20. They became engaged just three days after they first met. After their wedding, she became known as Lady Randolph Churchill and gave birth to her oldest son, Winston, just eight months later. Whether or not she gave birth prematurely or conceived him out of wedlock remains another Jennie Jerome mystery. After having another son, numerous affairs and two more marriages, she tripped on her high heels and fell down a friend’s staircase – leaving her leg with gangrene and ultimately taking her life. She passed away in London in 1921, aged 67 – never seeing her oldest son take the country’s reins. I was quite chuffed by this local find, especially because of the collision of American and British history. 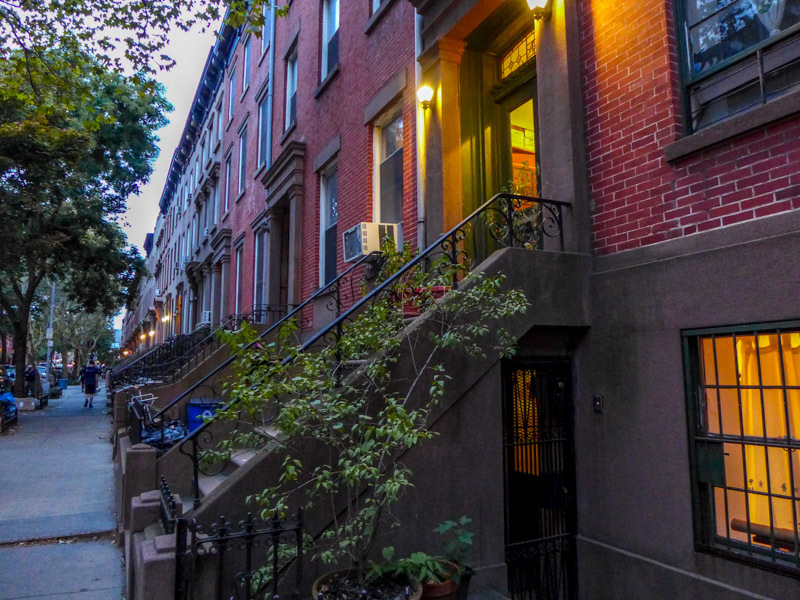 It’s a reminder of the history right here on my doorstep – and that I still have loads to learn about my new neighborhood. 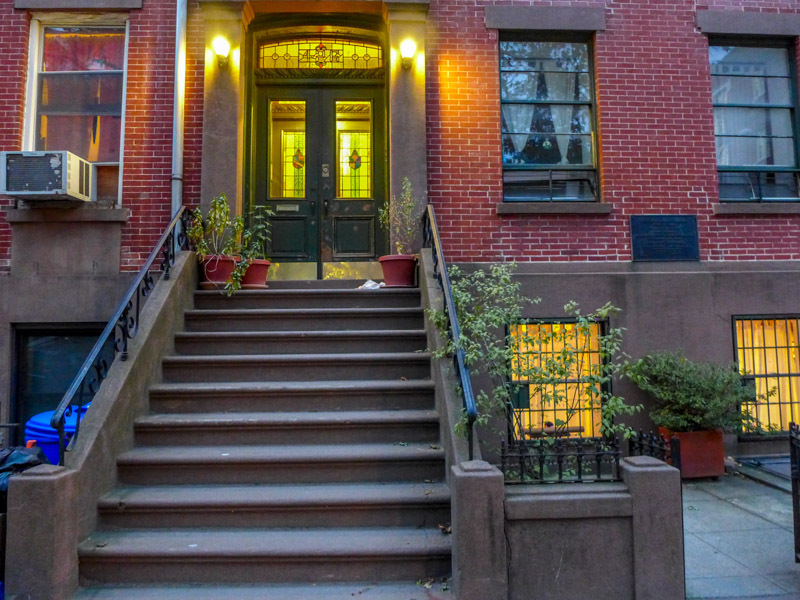 So keep your eye out if you’re in Cobble Hill. It’s a good little anecdote to share, I reckon. 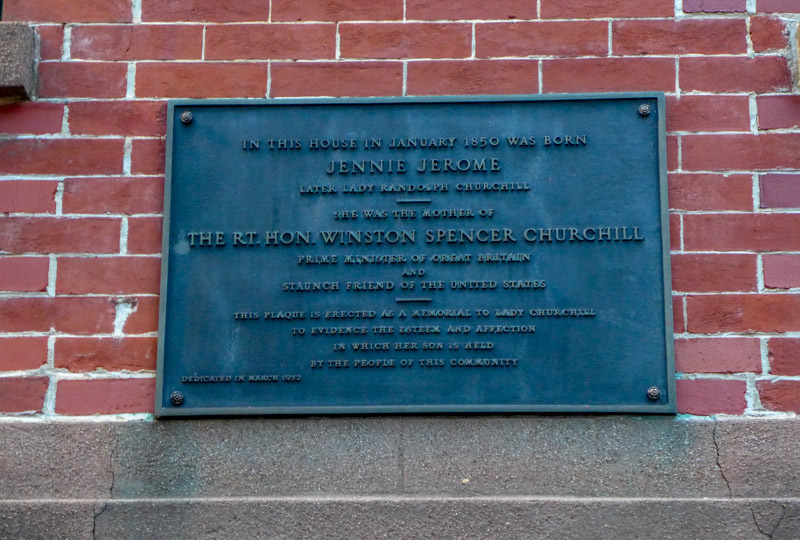 I always appreciated how fiercely proud Winston Churchill was of his American heritage. He took it seriously and valued it his whole life.